Many new homebuyers confuse 'warranty' with the word 'guarantee'. Indeed, so do the HBF and the warranty providers themselves! However there are differences between a guarantee and a warranty, yet despite this, both words are often used with regard to a new home warranty. Warranty: 1) a written guarantee promising to repair or replace an article if necessary within a specific period. 2) an engagement by an insured party that certain statements are true or certain conditions shall be fulfilled. Guarantee: 1) a formal assurance that certain conditions will be fulfilled, especially that a product will be of a specified quality. 2) something that makes an outcome certain. A new home building warranty, is in essence an insurance policy paid for by the builder, to provide cover against any latent defects that may occur in the new home. The fee also includes the cost of inspections during specific stages of the construction of the home. There are three main providers but the most well-known and common new home warranty is provided by the NHBC which provides warranty cover for 80% of British new homes. In 2015/16, their 369 inspectors carried out over 798,000 warranty inspections, identifying 357,000 'reportable items' requiring the housebuilder's attention! You are covered against the builder becoming insolvent. After exchange of contracts, the policy will reimburse home buyers for loss of deposit or other financial loss which cannot be recovered such as valuation fees or arrange for the home to be completed to NHBC standards. The maximum this part of the policy will pay is 10% of the purchase price or £100,000, whichever is lower. Insurance cover against major damage arising from structural defects or drainage defects resulting from a failure to comply with the NHBC technical standards. The Buildmark cover protects you against subsidence, settlement and heave (unless they are covered by your Buildings insurance) along with other structural defects causing damage. This cover is up to the maximum stated in the policy documents and applies to the cost of rectifying physical damage caused by defects in specific building elements such as foundations and load bearing walls. The projected or anticipated cost of your claim must exceed the minimum claim value in order for your claim to be valid under most parts of this section of the Buildmark policy. Unlike other insurance policies, the NHBC use a minimum claim value rather than a policy excess. This means that provided the cost of a claim exceeds the minimum claim value the NHBC will pay it in full, without deducting a policy excess. The minimum claim value is the amount specified in section 3 of the homebuyer's Buildmark policy, which is increased each year to allow for the effects of inflation. For any claim made under the Buildmark warranty in 2017 the current minimum claim value applied is £1,550 rising £50 each year, for the duration of the warranty. Any total claim valued at less than the minimum claim value is not covered. Contact via telephone through the switchboard number: 0844 633 1000. Launched in 2007, LABC Warranty works in partnership with Local Authority Building Control (LABC) to provide housebuilders with a complete range of developer services to support construction from start to finish: from residential and non-residential warranties, right through to assessments and compliance testing. LABC say "by providing these services under one roof allow we can pass on significant cost savings to house builders." Working alongside LA Building Control Surveyors, they additionally review developments in accordance with their technical standards. They provide type pre-approval, acceptable by any local authority in England and Wales. The warranty schemes are underwritten by AmTrust Europe Limited, authorised and regulated by the Financial Services Authority. "LABC Warranty's Awards for Excellence have been designed to recognise and reward the hard work of registered developers, builders and site managers who stand out from the crowd in delivering high quality construction and design." Why is NHBC warranty not being offered by this housebuilder? Premier Guarantee started providing structural warranties in 1997 and claims to have issued over 250,000 policies (around 10,000 a year roughly 10% of the number of new home built each year). Primarily it serves as a house builder's insurance product as Premier say: "Our New Home Warranty has been developed for house builders working on newly-built or converted private residential developments." the house builder becoming insolvent and going out of business, either before, during or after the new home is built. any structural defects in years 3 to 10. 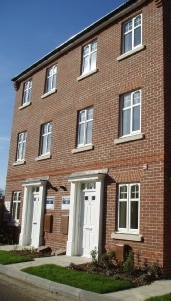 Premier Guarantee new homes are insured by AmTrust Europe Limited. AmTrust Europe Limited is part of the AmTrust Group. It is important to note that as with all new home warranties, Premier Guarantee does not Guarantee that a new home will be free from defects or snags. As with the LABC warranty, Premier Guarantee also have their own "Premier Guarantee Excellence Awards" stating they "are an invaluable opportunity to recognise the very best developments in the UK housing market and to raise the profile of the country's house builders" and to "showcases the quality work undertaken by our clients"
- not then to benefit home buyers? In 2012 over 1,500 developments took part and 150 were short-listed. Overall Developer of the Year was Bett Homes part of the Avant Group. Judging by the listed winners for 2012, apart from Berkeley, nearly all the house builders appear to be very small regional house builders - perhaps some being unable to obtain NHBC registration! Buyers should note that both the LABC and Premier Guarantee warranty policies have £1,000 excess, meaning new homeowners pay the first £1,000 of each claim made under the warranty. MD Insurance Services who are scheme administrators for both LABC and Premier Guarantee warrantees, are also the Secretariat for the Consumer Code for Home Builders. MD Insurance Services employ 'Risk Management Surveyors' "work within both brands of the company"
Why is the NHBC Buildmark warranty not being offered by this housebuilder? This is an "insurance policy covering the cost of 'putting right' a defect occurring in the structural parts.” Cover from 10 or 12 years is available and is underwritten by Allianz Global Corporate & Specialty. As is the case with an Architect's certificate, policies like these mainly serve to protect the mortgage provider’s funds offering very little protection and peace of mind for the new home buyer. BLP cover is a one-off cost to the house builder/developer and requires no annual membership, registration, additional security or financial bonds. Important to note for the home buyer, there is no 2-year house builder/developer warranty (apart from water ingress in year 1). The home owner guide states: "The BLP Secure warranty is an insurance policy that is designed to cover you against 'structural defects' in the property that were not discovered prior to completion, and that would represent a significant expenditure for a buyer to put right. It is different from the cover provided under buildings and contents insurance, and it does not provide cover for general wear and tear, condensation, normal shrinkage, snagging items or damage arising from failure to maintain the property." Checkmate "Checkmate provides a range of ten-year latent defect insurance policies for the house-building and construction industry. Policies for all types of new and newly converted/refurbished homes for sale and rent and all types of social housing." Castle 10 being most relevant to new home buyers. Note it is for the housebuilding industry not homebuyers! Be aware, policy limitations and conditions apply! This previously provided a comparable warranty to that of the NHBC. However, Zurich Building Guarantee decided to withdraw from the new home Warranty and Building Control markets in November 2010. Click the link for more details. What is the reason why my new home is not being covered by the NHBC Buildmark warranty? NHBC Buildmark cover in years 3 to 10.